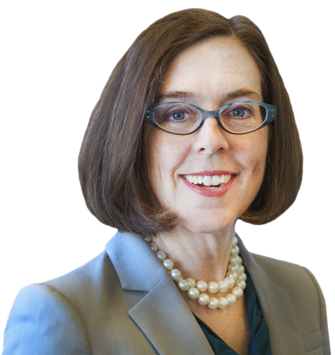 Oregon Governor Kate Brown is blasting the Trump administration’s move to roll back new auto mileage standards being phased in by 2025. Brown joined the governors of Washington and California in criticizing the decision. They say the tough standards are needed to protect air quality and combat climate change.California leads a consortium of 13 states, including Oregon and Washington, that can set emission standards higher than the national requirements. California officials say they will take legal action if the administration forces them to back off their goal of an auto fleet averaging 50 miles per gallon. Environmental Protection Agency administrator Scott Pruitt says federal officials will work with states to develop new national standards. He says the EPA is still studying whether California should be able to set tougher rules.